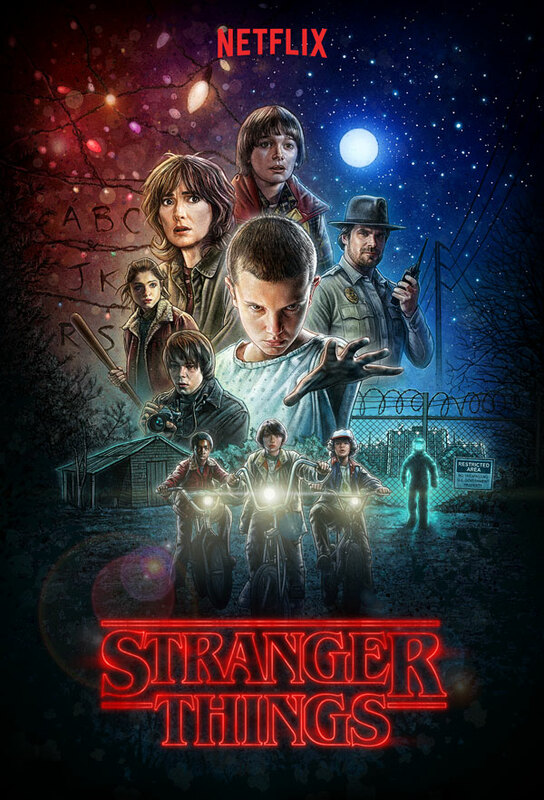 Before Stranger Things came out, we were tasked to develop a motion key art for the show. Dozens of ideas were generated and we were asked to create a logo to help bring those ideas to life under one visual identity. We started off by referencing many of Stephen King’s book covers along with movie posters from the 80’s. Over 20 logos options were created but the logo using the ITC Benguiat font, stood out as the favorite by far. We modified the font by adjusting the contours of the typeface to give it a unique and harmonized lock up.